Why do people wait in line forever just to buy an iPhone? WONDERING WHAT THE deal is with people who spend days in line waiting for a new iPhone? Independent filmmaker Casey Neistat made a great short film about this weird subculture. There’s a range of people who do it. Some are there professionally (they’re paid by people who want the iPhone first, but don’t have the time). Some are gadget obsessed. And some seem completely reckless, like this person below who was sleeping on the sidewalk, using a plastic bag (what!?) to shield themselves from the elements. The best part comes at the end of the video, when the people talk about how OBVIOUSLY they’re going for the gold iPhone. 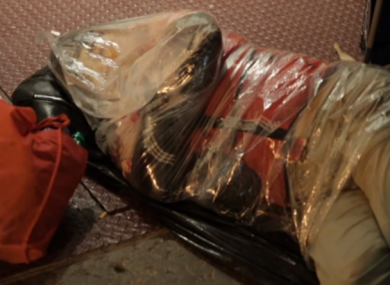 Yes, this person is sleeping INSIDE a plastic bag in line for a new iPhone. Still from Casey Neistat. Email “Why do people wait in line forever just to buy an iPhone?”. Feedback on “Why do people wait in line forever just to buy an iPhone?”.